The BMW X7 is the German marque's new flagship SUV. The new model focuses on luxury and exclusivity and is aiming squarely at the Range Rover. Wheels24 contributor Lance Branquinho writes: "With BMW’s new seven-seater gravel traveller having made its international debut two weeks ago, the diversity of choice has expanded. 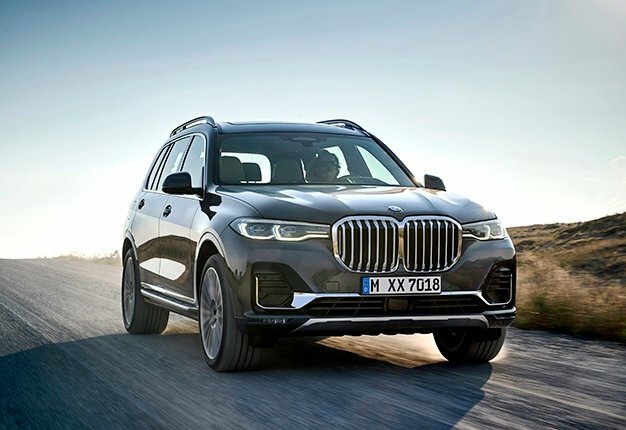 "The Munich brand’s largest-ever SUV and one which sits comfortable between the luxury offering and presence of a 7-Series and gravel travel ability of the new X5. It will arrive locally later in 2019. "A very large car at 5.15m bumper-to-bumper but the benefit of that size is that BMW’s X7 can comfortably seat seven adults. "Although the fourth-generation X5 also has an option for seven seats, it is quite a bit tighter in the back for those resigned to occupy the last row of accommodation. If you are in the market for a seven-seater luxury SUV, which are the most premium options?"